Welcome to the heart of St. Matthews. Spacious 2 bedroom, 2 bath condo in pristine and updated move-in condition. Recently renovated kitchen and baths. New tile and carpeting. Fresh paint. Large great room offers living room and dining areas. Assigned covered parking. Unique private rear staircase can easily accommodate a lift chair. Additional recent updates include new HVAC, new hot water heater, new roof, newly paved driveway and parking plus exterior painting. Private storage unit in basement, as well as a washer and dryer. One year home warranty available. The most recent sale in the building was $124.64 per square foot. Current asking price is $111.50 per square foot. 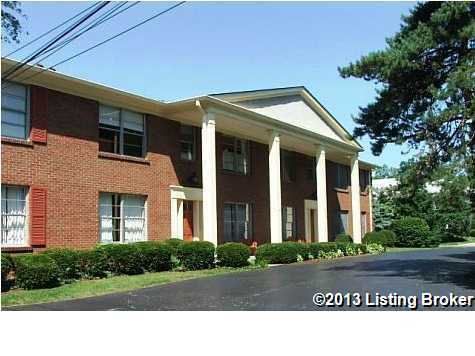 , Louisville KY 40207 is a Condo, with 2 bedrooms which is recently sold, it has 1,425 sqft, 186X115 sized lot, and 1 Car Carport parking. A comparable Other, has bedrooms and 0 baths, it was built in and is located at and for sale by its owner at $ 0. This home is located in the city of , in zip code , this County Other, it is in the Subdivision, and St Matthews are nearby neighborhoods.